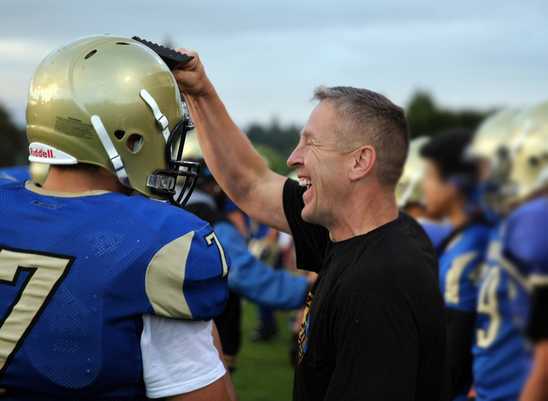 BREMERTON, Wash. — A high school football coach in Washington state who was placed on leave last year until he agrees to stop praying at the 50-yard line has filed a federal lawsuit against his former employer, alleging religious discrimination. As previously reported, Joe Kennedy, the assistant head coach for the varsity team at Bremerton High School and the head coach for the junior varsity team, was placed on paid administrative leave last October when he prayed at the conclusion of the homecoming game despite an order to cease his practice. In September 2015, the Bremerton School District launched an investigation into the coach’s practices, and soon sent a letter outlining that some aspects of his religious expression must discontinue. It noted that Kennedy not only prayed at the conclusion of each game, but also prayed in the locker room with students and staff. But although Kennedy agreed to discontinue the locker room prayer, his attorneys with the Texas-based group First Liberty stated that he had done nothing wrong in seeking to pray by himself at the conclusion of each game. They opined there is neither any constitutional violation in permitting students to join. As Kennedy offered a prayer at October’s homecoming game, and was voluntarily surrounded by his team and scores of other supporters, he was consequently placed on paid leave until he agrees not to pray at the 50-yard-line. In January, the district decided not to renew his teaching contract, effectively putting him out of a job. In December, the former U.S. Marine turned football coach filed a complaint with the Equal Employment Opportunity Commission, alleging workplace retaliation against his Christian expression in violation of Title VII of the Civil Rights Act of 1964. Now, Kennedy’s attorneys have also filed a federal lawsuit challenging his firing at the high school. “Upon information and belief, although BHS Assistant Coach David Boynton has engaged in a Buddhist chant at the 50-yard line at the conclusion of many BHS games—and has continued to do so after BSD issued its … letter—BSD did not take adverse employment action against Coach Boynton on the basis of his religious expression,” the legal challenge reads. Kennedy is seeking a declaratory judgment, as well as a court order reinstating his employment.